Australian singer-songwriter Cody Simpson makes his Broadway debut as Dmitry (the clever, young Russian con artist who creates and falls in love with a princess) in the hit musical adaptation of Anastasia. BroadwayBox caught up with the MTV, Kid's Choice, and GQ Awards winner to hear from him about life onstage and backstage at Anastasia, the music he's rocking out to IRL, and his dream musical revival. 1. What moment in the show do you most look forward to performing each night? "Rumor In St. Petersburg" is probably my favourite number in the show, I get to come in hot! It puts me in the right headspace for the rest of the show. 2. What’s surprised you most about performing on Broadway? All the friends I've so quickly made, not only in my company but in other casts and companies too. The community is so welcoming, and I'm happy to be a part of it. 3. What’s your favorite thing about life backstage at Anastasia? Pranks and practical jokes with the other cast members. Hiding behind doors, prank calls, inside jokes before scenes! 4. What do you enjoy about meeting so many fans at the stage door? Witnessing their reaction to the performance! Hearing about their experience in the show and how positively it impacts people. It’s very rewarding. 5. What’s been the coolest or most surprising Anastasia fan gift you’ve received so far? Drawings of myself as Dmitry, and even a few dolls made up to look like myself! Pretty awesome, as you never know what you'll receive in the mail when you walk up to the stage door each night. 6. The animated Anastasia movie meant so much to so many people growing up. What’s a movie from your childhood you hold really dear? 7. Which aspect of fame took the most getting used to for you? People’s interest in your life outside of the music or the film. It's an adjustment knowing there are those who care about things aside from the craft itself, and you have to be okay with that if you want to stay healthy psychologically. 8. Do you have a dream musical you’d love to do someday? Guys and Dolls, for sure. Or a remake of the Anchors Aweigh film with Sinatra and Gene Kelly. 9. Music is obviously a huge part of your life. What’s been the most played album for you so far in 2019? Astral Weeks by Van Morrison—my all-time favorite. Of more recent records though, I'd say Man Of The Woods by JT. 10. What are three things you always have in your dressing room, whether it’s Broadway or a tour? Throat coat tea, my film camera, and whatever books I'm reading at the moment! 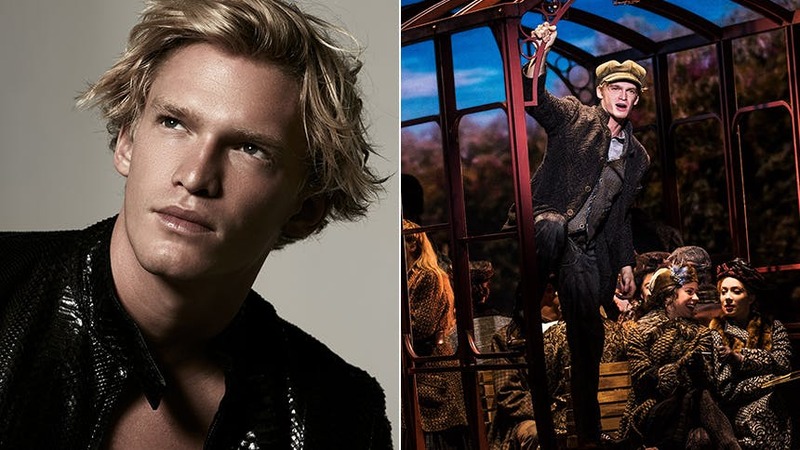 Don’t miss Cody Simpson as Dmitry in ‘Anastasia’ at Broadway’s Broadhurst Theatre through March 31.